Sandra Sews :): Happy Fishy Drawstring Bag Day! 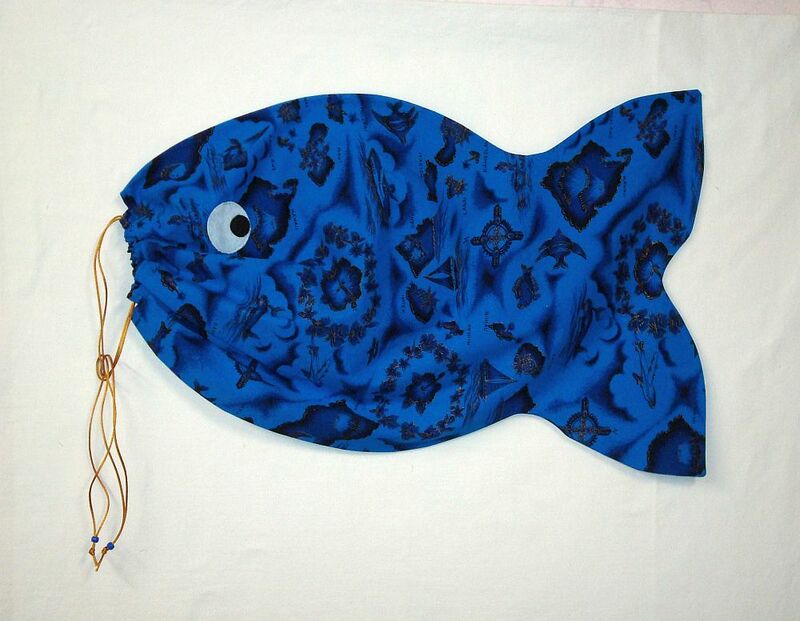 Happy Fishy Drawstring Bag Day! I made the simplest version with no embellishments - I wanted to try out the pattern and wanted instant gratification, LOL. It worked out perfectly, and it's a SIMPLE sew. I used about .8m fabric, and 2m rattail (instead of fabric drawstrings) - nice stash busting! It's unlined, so I zigzagged all the raw edges to give it a nice finish. 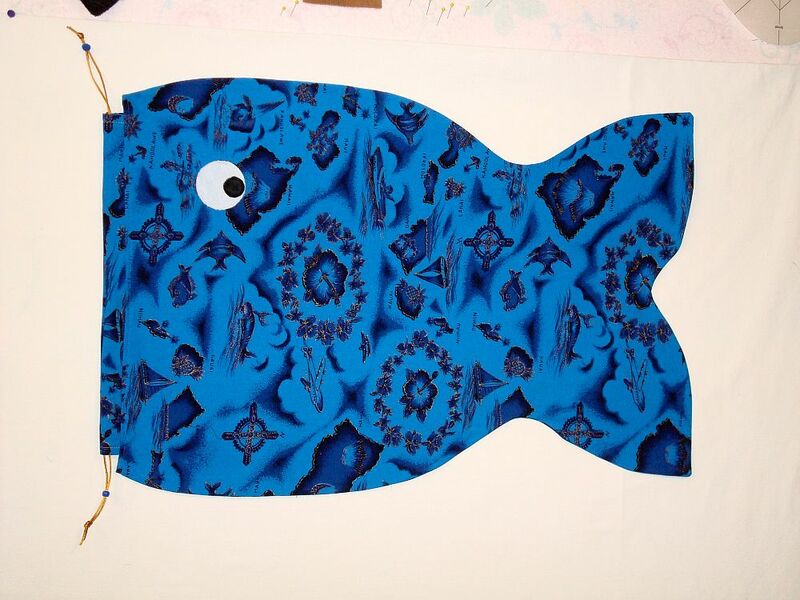 I appliqued an eye on either side, so it's reversible ... in a manner of speaking, haha. I'm SO very pleased with this bag, and glad that it was chosen for May's Untutorial project - I voted for it myself :D THANK YOU CAROLINE for your work and for sharing it with us! 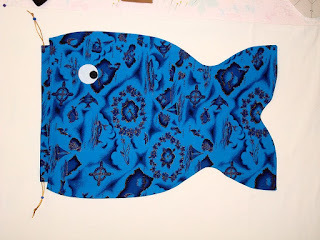 I remember seeing this bag but saw the giant fish size and turned my sewing eye somewhere else. Ha! just reduce it 50%. It would be cute as a gift bag in a smaller size. What a fun bag!!! Now, what fishy goodies are you going to put inside?